TIME magazine has earned the coveted Stereotype of the Year award for its special report on Indian casinos. In a year in which one writer claimed "gambling monopolies" were "reparations," TIME stood out for its malicious attempt to paint Indian gaming as corrupt. Rarely has such a concerted smear campaign been seen in the major media. No one stereotype gave TIME the nod, but for the sheer volume of stereotypical statements, its four-part series was unsurpassed in 2002. Presented by Blue Corn Comics, which produces multicultural comic books, fiction, and commentary about Native Americans, the annual award goes to the worst stereotyping of Natives found in the public domain. Each month the company chooses the worst stereotype it finds, making it eligible for the annual prize. Perennial "winners" such as the Cleveland Indian's Chief Wahoo mascot and New Age religious charlatans are not eligible. Lowering its previously high journalistic standards, TIME sank to the level of such right-wing rags as the Wall Street Journal, the Denver Post, and Connecticut's The Day. TIME reporters Donald L. Barlett and James B. Steele apparently concocted their "report" out of old press clippings, rumors and innuendo, and complaints from white people who don't want Indians living next door. Their "research" consisted of taking a few extreme cases and making them seem representative of the whole. Among the obvious lapses in journalistic ethics, Barlett and Steele didn't contact anyone from such leading Native organizations as the National Congress of American Indians, the National Indian Gaming Association, or the California Nations Indian Gaming Association. That may explain why their attack was riddled with lies, misstatements, and exaggerations of the facts. "It's tough to choose," said Blue Corn Comics publisher Rob Schmidt, "but I'd say TIME's most egregious claim was that Congress allowed poverty among Natives by 'giving' gaming to some tribes but not to others. Actually, by passing the Indian Gaming Regulatory Act in 1988, Congress merely recognized the tribes' sovereign right to pursue gaming. Whether they have chosen to pursue it or not is their decision, no one else's." Other unwarranted claims included TIME's assertions that non-Natives bankroll "instant reservations" and greedy tribes disenroll legitimate members. An extensive series of rebuttals is available at Responses to TIME's Attack on Indian Gaming. 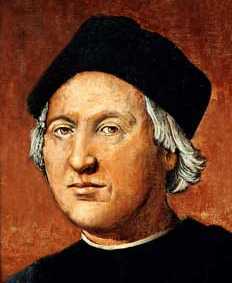 The runner-up for the Stereotype of the Year award is Joseph J. Sabia's pro-Columbus Day screed. Published in Front Page Magazine (FrontPageMagazine.com) Oct. 14, the column defended Columbus for introducing genocide, conquest, and slavery—i.e., Western civilization—to the New World. Among Sabia's ugliest claims were: "The Natives who inhabited the Americas were brutal thugs waging constant wars and engaging in widespread scalping" and "A three-course meal consisted of maize, tree bark, and human flesh." For this Sabia earned not only dishonorable mention in the Stereotype of the Year contest, but also a special citation as the Racist Column of the Year. Dickey: Indian "gambling monopolies" are "reparations"
Canada's aboriginals are "sedentary welfare-collectors"
Genocide is "one of the less embarrassing tragedies"
Renault ad shows car running over Cheyenne "brave"
Aboriginal funding deprives "real people in real towns"
Blue Corn Comics encourages the public to visit and contribute to its ongoing Stereotype of the Month contest. For questions or information, contact Rob Schmidt at robschmidt@compuserve.com.